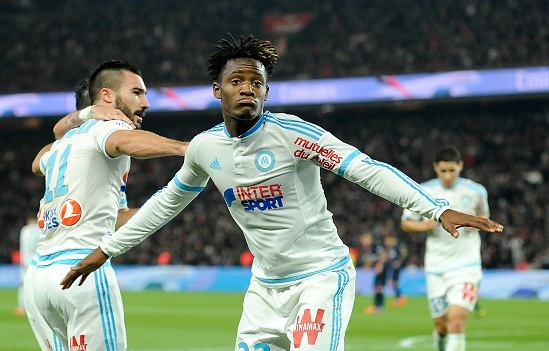 Arsenal Transfer News Today: Marseille striker Michy Batshuayi snubs Arsenal. Arsenal striker done deal news from January transfer window. Arsenal have suffered a big blow as their target Michy Batshuayi of Marseille has denied to move to the Gunners by penning a new deal, as per the latest reports. The Gunners have been keeping tabs on Batshuayi for the past several months and were keen to sign him this month but unfortunately the Ligue 1 side successfully sealed his new contract deal which will keep him for another few years at the French club. Marseille announced earlier today that Batshuayi has signed a new four year deal which has now ended his transfer rumours. Arsenal boss Arsene Wenger has been interested in his move as several of star players are on the sideline. The reports have not only linked Arsenal with the Belgian striker but also another London side Tottenham Hotspur have been interested in him. The 22-year-old has netted 14 goals in 25 appearances for the French side in all campaigns so far this term. Wenger is likely to seal first deal soon and it would surely be of a striker as the Gunners need to bolster their attack in order to increase their chances of winning the Premier League title. Meanwhile, Marseille’s defender Benjamin Mendy has also signed a new deal recently. good, he is not top class. we need top class who can score 20 goals a season.